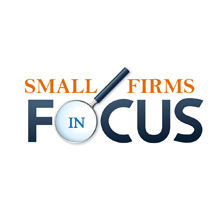 Peter Baverstock, the UK CEO of LEAP, talks about the advent of mobile computing and the impact that such technology is having on the success of small law firms. Mobile computing, it’s been heralded for years, but true mobility has not been a reality until now. With the coming of age of cloud technology and the dominance of the smartphone it’s now possible to access and progress all your matters from anywhere and at any time, even when working offline! Our clients are telling us that being able to work on the move is now key to running their practice, it also helps them attract the very best fee earners that want flexibility in the work place, a very common theme in today’s modern law firm. You can access LEAP via your laptop. When you log in remotely all your matters are instantly available and you can work on matters whether you are online or offline. Basically, it doesn’t make any difference whether you work in or out of the office – all your work is synchronised and filed the same way. Or you can download the LEAP Mobile App and manage all your matters from the palm of your hand. Your smartphone is now effectively your desktop or laptop. As Shuaib Suria describes below, your clients will be impressed with the service you can offer them. You can be in a meeting with them or on the phone and instantly update them with progress on their matters. You are in control and your clients will be reassured that you are on the ball. The LEAP Client Success Team maintains regular communication with customers helping them to get the most out of the solution and its new features. The feedback we receive from those who have taken to “working on the go” has been incredibly positive, the adoption of this technology is clearly having an impact on both themselves as individuals and the success of their firms. We have found that since we released our mobile App some months ago, we have seen a surprising number of clients using it. Over 500 firms now use the mobile App on a day to day basis, this includes evenings and weekends. An increasing amount of work is being done via the mobile and now more websites are viewed on mobile devices and tablets than desktops. People are demanding that their desktop functionality is available to them always and on all platforms. With LEAP this is now a reality. 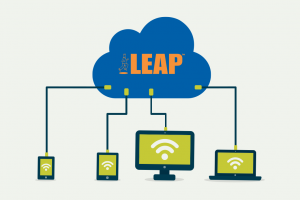 For more details about how LEAP can bring the future to you now and make your business mobile, giving you the freedom to work anywhere at any time please see the below links or contact us on 0845 683 2517.